This week, we wanted to reflect on our gratitude. We work together daily with incredible people who provide us with electricity, entertainment, and the ability to communicate and connect with our world. In honor of these hard-working companies and pioneering industries, we have compiled four ways that we appreciate the electric utility and communication industries. 1. These industries empower individuals. Electricity and high speed internet give individuals the tools they need to thrive in their daily lives, helping people pursue their dreams with more ease than ever before. Distance learning and remote work are two ways that the electric utility and communication industries encourage empowerment. Distance learning provides educational opportunities to those without transportation, those who work full time, those with families, and so on. The technology of distance learning offers web portals to interface students and teachers, so that they do not have to meet face-to-face. Educational resources are provided online, as an alternative to a library or a storefront. Technology supports working remotely—improving quality of life. The days of always being behind a desk are coming to an end. More and more businesses are giving employees the option to work remotely, from anywhere in the world. 2. These industries connect us. High speed internet combined with social media is the recipe to stronger relationships. The internet connects us to our friends and families. 81% of the population has a social media profile on at least one platform. Around 80% of social media interaction occurs on a mobile device, delivering even more flexibility to our communication abilities. The internet connects businesses with consumers. 88% of companies in America use social media to connect to their current customers and their targeted audience. LinkedIn has around 450 million user profiles, accommodating employers, current employees, and professionals seeking employment. The internet connects us to our communities. Social media has the power to bring together diverse groups with different backgrounds for the sake of important social issues. Whatever the social challenge, whether policy, human rights, or a natural disaster, people can connect with local fundraisers in their own communities through social media, and come together with others who share similar concern. 3. These industries motivate progression. How else do you spell out progression besides technology + medicine? Telemedicine promotes access to healthcare for patients. Patients are able to connect with doctors remotely, or doctors can remote in to patient’s rooms when they are off hospital campuses. Emergencies can be validated quicker. Technology in the medical industry is growing rapidly and creating more opportunities for individuals and their families. Plus, such medical technology can be extremely cost effective. Another illustration of societal progression, as a result of electric utilities and communications, is online businesses. More companies, such as utilities, banks, and healthcare providers, are moving resources online, offering easier ways to stay organized and make proactive changes — for both consumers and companies. 4. These industries inspire compassion. Organizations committed to closing the digital divide, such as Comcast’s Internet Essentials, have linked rural Americans to high-speed internet service. Internet Essentials has connected around 2.4 million Americans, or more than 600,000 low-income families, to the internet in their homes. Similarly, Microsoft is stepping up to help deploy broadband through their Rural Airband Initiative program. They hope to help set up broadband connections for 2 million people in rural areas by 2022. Likewise, compassion is promoted through technology to help large groups of people. One example is senior citizens who are given the opportunity for in-home care with technological devices. This keeps seniors stay in their own homes longer, without having to turn to a retirement home preemptively, or hire full time personnel. Panic alarms, voice-automated devices, and home monitoring systems help seniors remain independent. Technology is helping society through these proactive, positive, and progressive approaches. We could discuss several other ways electric utilities and communications providers bring positive change, but we would like to hear your stories. 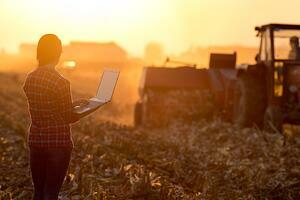 In what ways do you appreciate the technologies these industries have brought to your family or business? Share your thoughts in the comments below.